The Smithsonian Science for the Classroom approach to meeting the NGSS through three-dimensional learning and assessment. 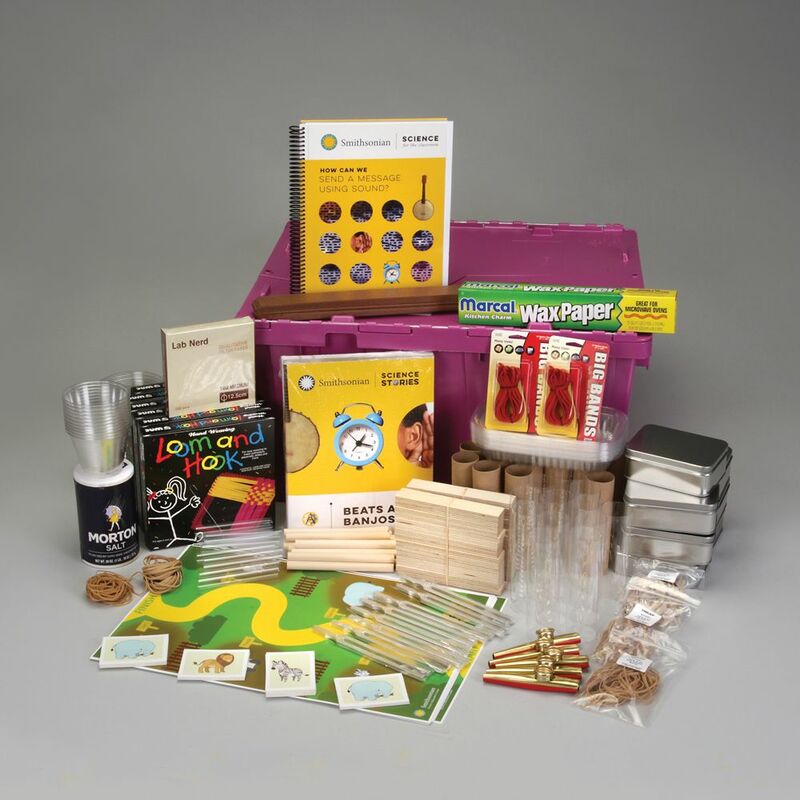 Smithsonian Science for the Classroom is designed from the ground up for the NGSS, in direct response to the need for new curriculum materials these new standards presented. The NGSS, and any state or local standards significantly derived from them, require significant instructional shifts that most existing curriculum materials do not currently support. The biggest shift associated with the NGSS is the articulation of the three dimensions that make up each standard. No longer can content knowledge stand alone as a standard. Content (referred to as Disciplinary Core Ideas, or DCIs) must always be blended with Science and Engineering Practices (SEPs) and Crosscutting Concepts (CCCs). Elements from each of these three dimensions are blended to create performance expectations (PEs). PEs are end points. To successfully prepare students to meet these goals, instructional materials must provide learning experiences at the nexus of these three dimensions. Every Smithsonian Science for the Classroom lesson is designed to help students construct and use elements of the DCIs, SEPs, and CCCs. These elements are combined flexibly in a sequence of lessons that forms a storyline and ultimately prepares students to meet a bundle of PEs. 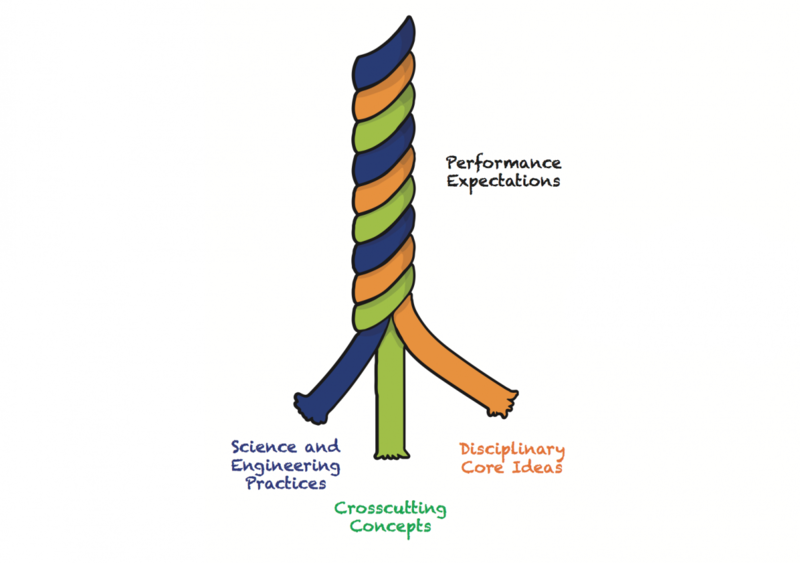 NGSS PEs can be thought of as a three-stranded rope. Smithsonian Science for the Classroom treats three-dimensional learning and three-dimensional assessment as two sides of the same coin. The series embeds opportunities for pre-, formative, self-, and summative assessments within the curriculum itself, and teachers are given tools to evaluate student performance across all three dimensions in every lesson. The first lesson of every module includes a brief pre-assessment of some of the most focal DCIs, SEPs, and CCCs for the module. Students respond individually, and teachers are provided with a table of Indicators of Success and Difficulty. The pre-assessment is intended to help teachers get a sense of where the class is with regard to the module’s target concepts and practices; no student feedback is recommended at this time. Every lesson is designed to have an assessable task that requires students to show their skill and knowledge across elements of all three NGSS dimensions and serves as a formative assessment. These tasks are part of the main lesson activities. 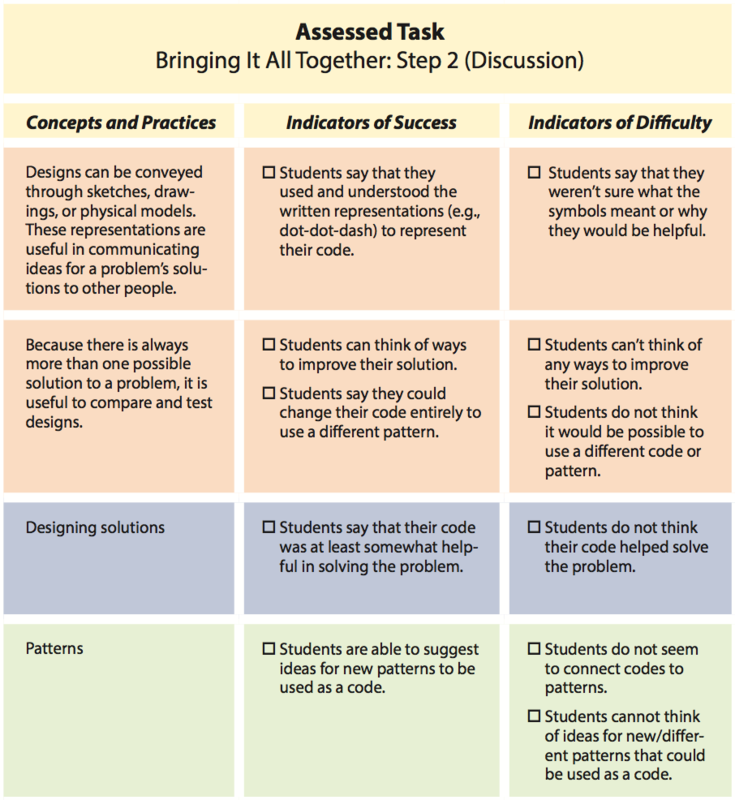 Teachers are provided with a table of Indicators of Success and Difficulty tied to one such task per lesson. The indicators articulate what a successful lesson-level performance looks like. Analysis of student work using these indicators can be used to inform future lesson planning as well as to provide specific, actionable feedback for students. Smithsonian Science for the Classroom modules conclude with either a Science Challenge or a Design Challenge. This challenge is a multi-day, summative performance assessment that requires students to work collaboratively and engage in multiple practices. Science Challenges—found in life, Earth and space, and physical science modules—center around the scientific goals of asking questions and explaining phenomena. Design Challenges, found in Engineering modules, center around the engineering design goals of defining problems and designing solutions. This performance assessment is complemented with an individual written assessment that covers any concepts and practices that are not as well captured by the collaborative performance assessment. All summative assessments are accompanied with scoring rubrics. Assessment tables provide guidance on what to look for in students’ work on the assessed task.